Elizabeth Emily Murray (English, 1847–1920) was an amateur artist and a correspondent of the Victorian critic and writer John Ruskin (English, 1819–1900). 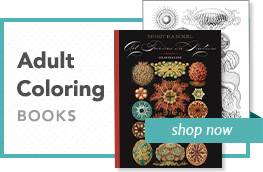 In his writing and drawings, Ruskin championed ‘truth to nature,’ and Murray’s exquisitely observed natural history studies demonstrate her adherence to this dictum. 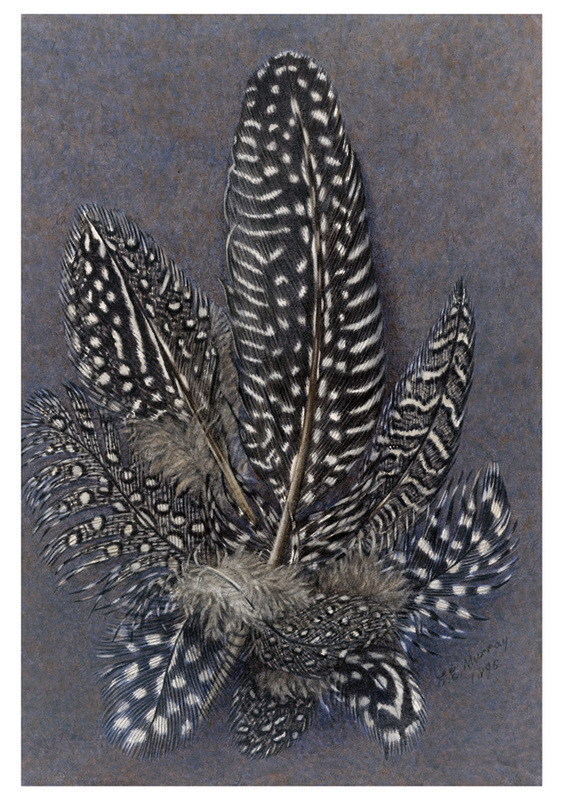 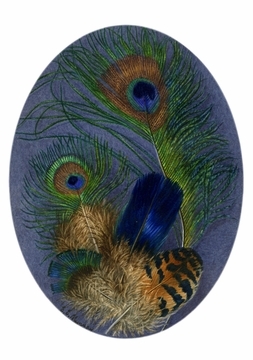 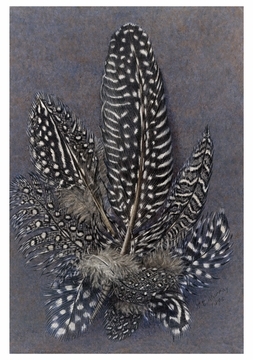 She gave a large group of her own work, featuring beautifully detailed watercolours of feathers of various birds, to the British Museum in 1904. 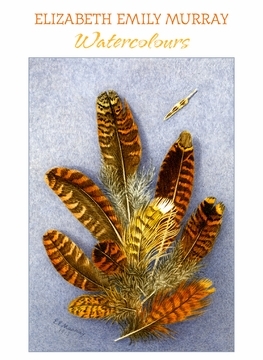 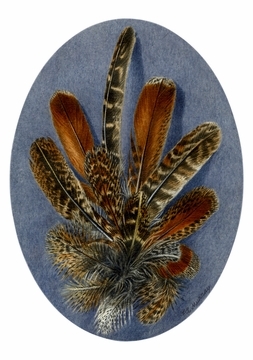 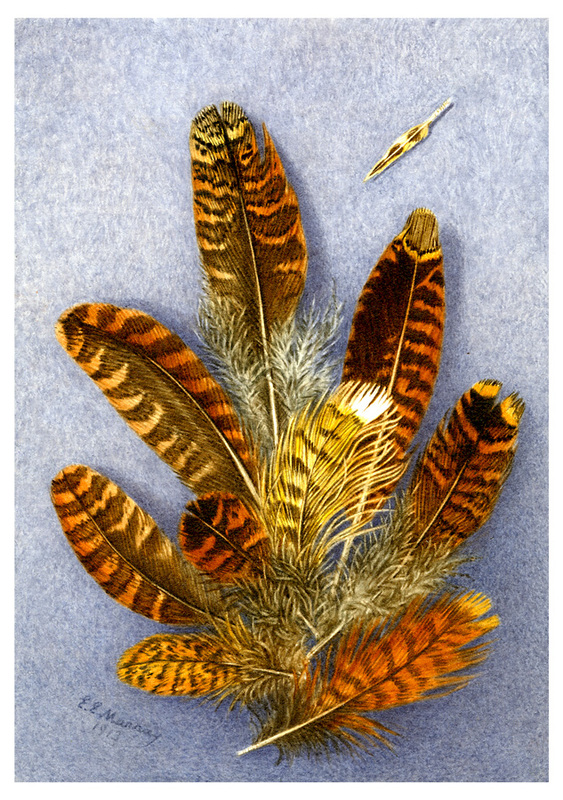 Feathers of a peacock, n.d.
Small brown-and-grey feathers of the partridge, n.d.